So many times we can think we need a room of supplies to create or to be an artist. All we need is a pencil, paper and the desire to practice. I once read that people that connect with their creativity with simple tools like paper and ink or pencil on a daily basis are happier people. They slow down, connect, really look…they are present. The best part of this article was that their happiness was not based on the quality of their drawing but that they just did it. Doesn’t that give hope to all of us and who doesn’t want to be happier?! 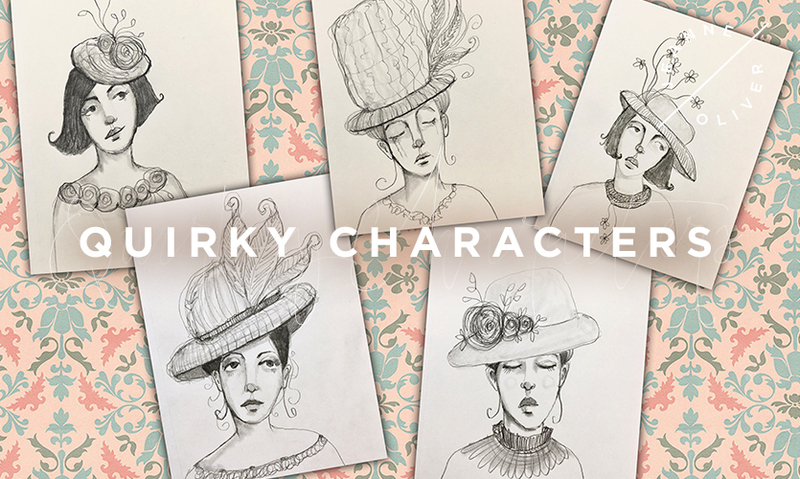 I am thrilled to share with you a brand new sketching course by Lucy Cooke. With simple tools, you will learn to practice wherever you go and hey…you just may find some happiness along the way! Welcome Lucy Cooke as she teaches her first course here on the Jeanne Oliver Creative Community! Come and read all about Quirky Characters! 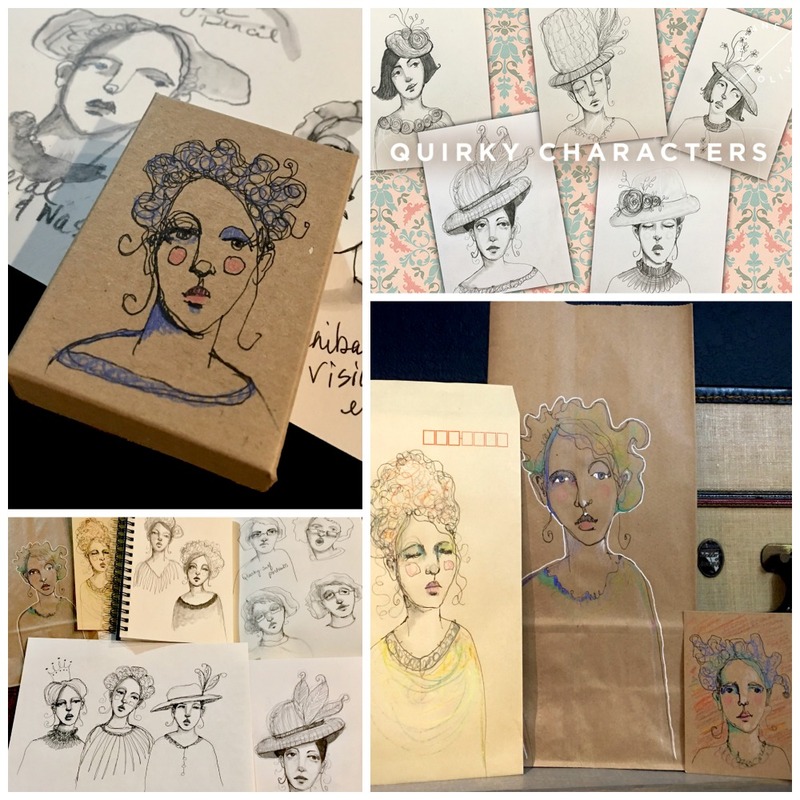 Early registration has just opened for Quirky Characters with Lucy Cooke! Four+ hours of course content, lifetime* access and an early registration price of $32. The price will change to $48 on July 20th @ 10 pm MST and the course will go live on August 20th, 2018. Let’s travel the road of creativity, as we learn how to fall in love with drawing again! With simple materials, we will transform lines that are interesting, wonky, elegant, and scribbly, into quirky characters that will make you smile! We will learn the art of daily practice, and love every minute of it. Step by step videos will guide you through the process. There is no perfection here, only fun. Be prepared to see beautiful, silly, serious, sad, and funny faces fill your journals. 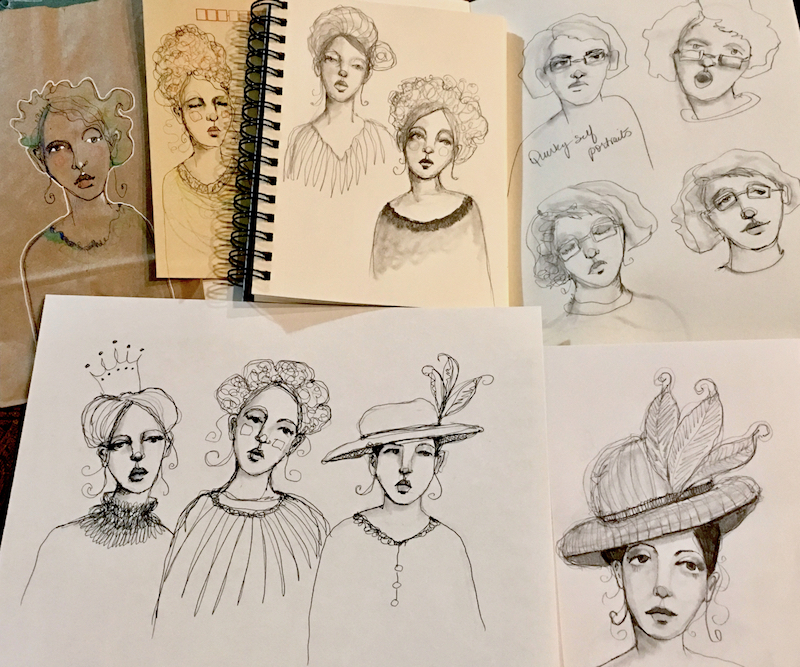 We will even sketch on unexpected surfaces, and learn how to continue our art growth with these simple skills. I do not know any other way to share art and life with you besides what I walk through myself. I want what I create to come from an authentic place of discovery and unraveling.